Spruce It Up Quilting: Glad criket! 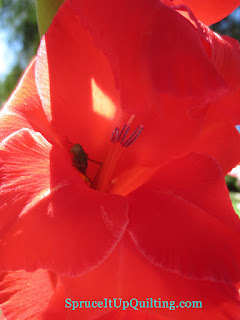 I found this little guy in my husband's gladiolus today. How did he manage to get up there? This glad is taller than me!